Lots happening in the next few months. Please follow me on Facebook or email me for a current list. This is where I will be over Easter. I am facilitating a workshop as part of Weldmar Hospice's Crafting Week. The workshop is now fully booked At the end of the crafting week (6th April) there is a craft fair at Sunninghill Prep School. Please pop in and support this fantastic charity. ​I am exhibiting at a range of events and craft shows this year having spent January in the studio working on my own pieces. You can also find some of my pieces on my Etsy. Please click the button below for the link. ​I am included in a blog by Allday Pa on social media. Do click on the button below to read and find out more. ​I moved into a new studio in August. Located in rural Dorset in converted farm buildings. There are other studios on site with some amazing independent businesses and crafters. Find out more in my latest blog. Lots happened over the summer. I have moved into a new studio space last week. It still needs more time to get everything set up but it is coming together nicely. I have had some great workshops across Dorset this summer. Below are some images of the amazing creations photographed in my new photo boxes. My first blog post. How you can support artists, crafters and local businesses without spending a penny. Click below to have a read. 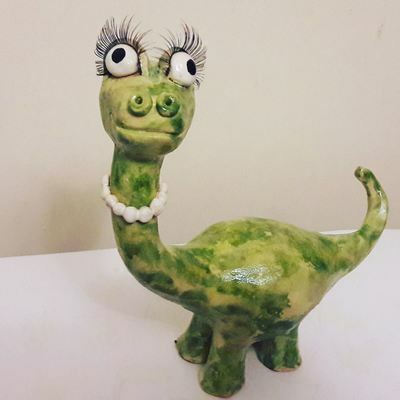 ​Over the summer holidays I will be running a range of clay workshops for families to enjoy. Below is a list of confirmed dates so far. 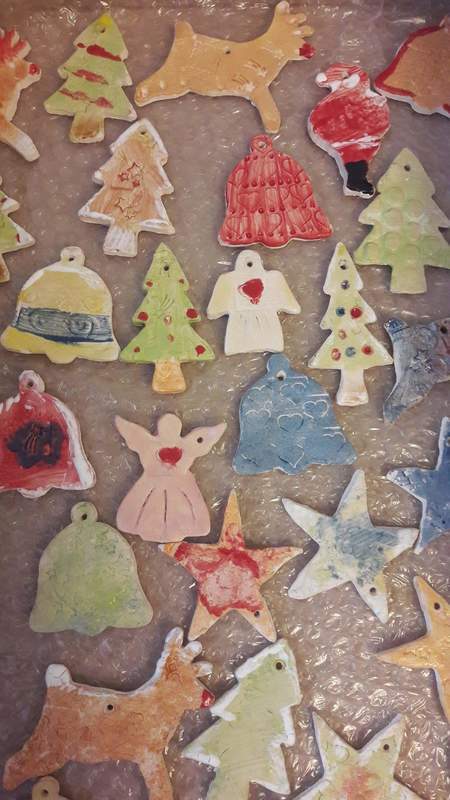 You can also book a clay workshop for your community group, nursery or holiday club. ​Further information on times, costs and themes are available on the venues website or will be updated shortly. ​This weekend I will be Artslink Fizz, Digby Hall, Sherborne on the Saturday 11am to 3pm with clay fun making bugs. 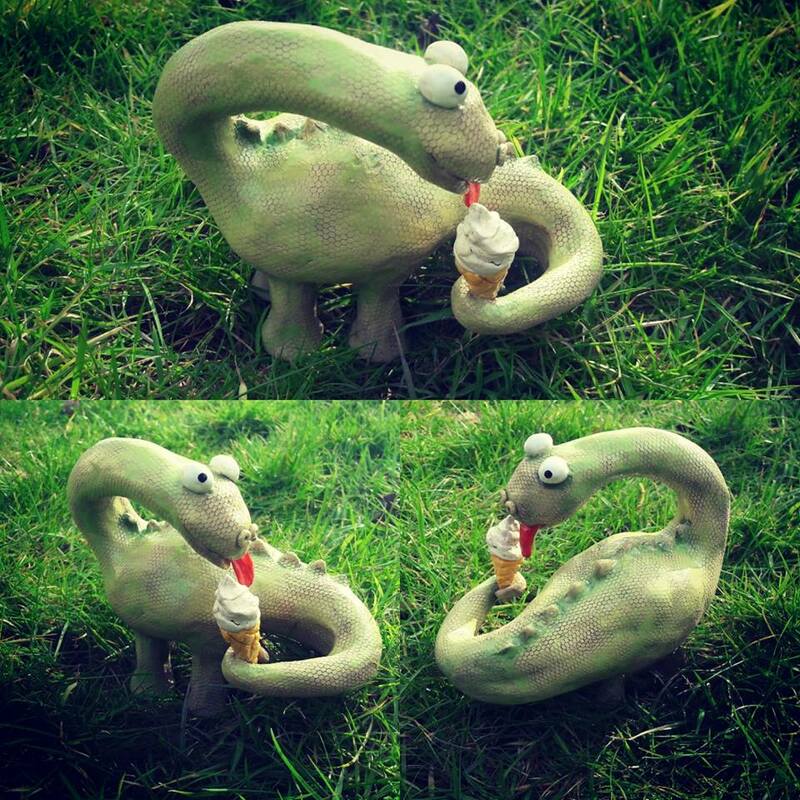 On the Sunday you can find Creative Clay For All at Sutton Poyntz Victorian Street Fayre. Look out for the gazebo and I will be dressed in Victorian style! of the award at the awards ceremony. Fingers crossed. event is 'Dip into Arts and Crafts' at Dorset Centre for the Creative Arts. 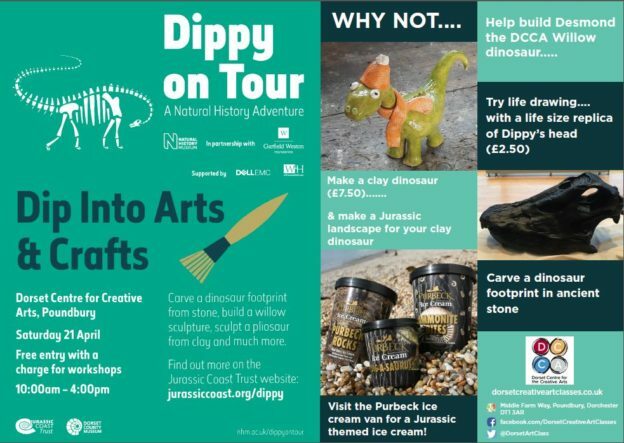 ​I look forward to seeing what Dippy inspired creations you will make. ​Creative Clay for all is proud to be an Artsmark Partner. Click on the logo below to find out more. Thank you Arts4Dementia for featuring Creative Clay For All on your Instagram today. ​Pleased to announce that Creative Clay For All will be back at the Dorset Mid Summer Music Festival next year. A great event 16th June 2018. Save the date. Families can also book to camp at the site. Now taking bookings for Christmas workshops. I have stocked up on specialist decorative efffects for you including Fairy Dust-a glitter glaze and Snowfall- a puffy snow effect when kiln fired. 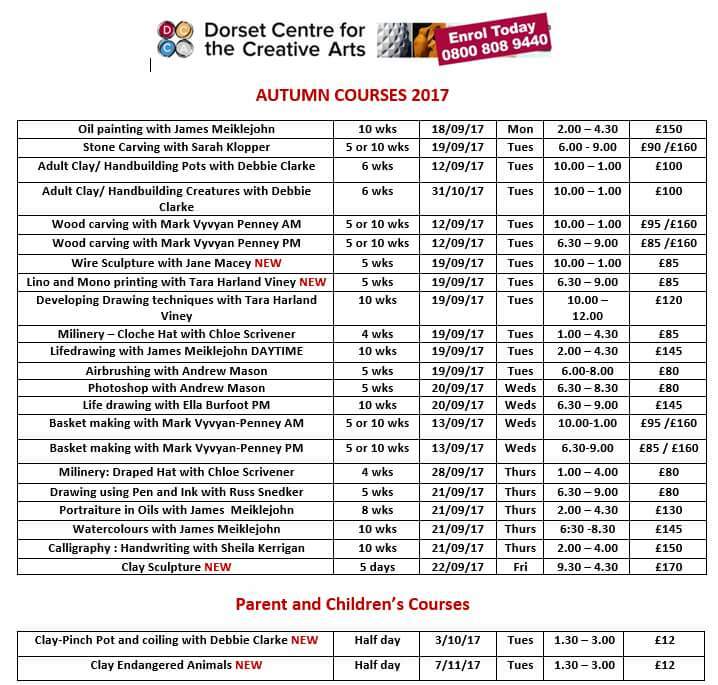 Course dates for Dorset Centre For Creative Arts are listed below. There are handbuilding classes suitable for beginners and improvers. There are two home school classes. The first is handbuilding tealights to fit in with the themes of Diwali and light festivals. The second is endangered animals- penguins and polar bears. This also ties in with the enviroment and arctic regions. Lots of pop up events coming up. ​Lovely write up from Dorset Mid Summer Music Festival. To have a read click on the image. ​As well as running workshops I am a practising ceramicist. My new body of work based on the Jurassic coast has been delivered to Ilminster Arts Centre ready for a group exhibition with East Dorset Potters and John Gammans. Starts 15th May. Do pop in and take a look.